Groundhog Day falls on February 2nd in the United States. Groundhog Day is a popular observance in many parts of the United States. Although some states have in some cases adopted their own groundhogs, the official groundhog, Punxsutawney Phil, lives at Gobbler’s Knob near Punxsutawney, Pennsylvania. Punxsutawney held its first Groundhog Day in the United States in the 1800s. The first official trek to Gobbler’s Knob was made on February 2, 1887. It is said that Punxsutawney Phil (the groundhog) was named after King Phillip. He was called Br’er Groundhog prior to being known as Phil. The Punxsutawney Groundhog Club plays an important role in organizing Groundhog Day in the town. Club members, news reporters, locals and visitors meet at Gobbler’s Knob on February 2 each year to await Phil’s appearance and his weather prediction. Many weather researchers questioned the groundhog’s accuracy in predicting the weather but some of the groundhog’s fans may not agree. Groundhog Day is an observance but it is not a public holiday in the United States. Hakalau, Hawaii 96710 Have you visited us in the Past? 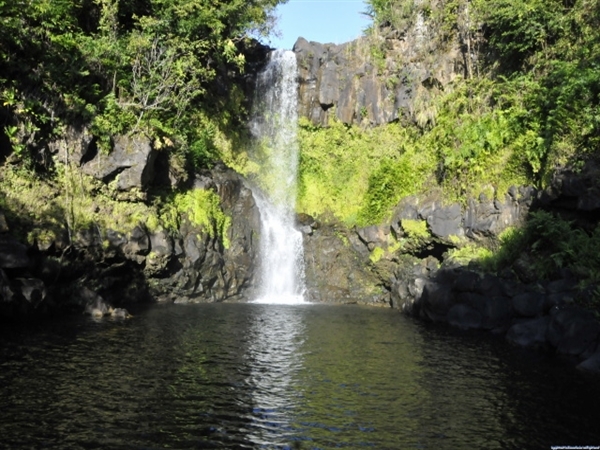 On a self-guided tour, you can first drive to the spectacular Kamaee Falls waterfall*. Along the way, you can view exotic palms, banana, kukui and hala trees then wind your way through hau, hibiscus and native Hawaiian plants on your way back to the lush Rainforest Trail. Wander along the paved and handicapped accessible Rainforest Trail alongside the tumbling Hanapueo Stream as you examine such tropicals as ginger, heliconia, green and red jade vine and bamboo beneath a shady canopy of rainforest trees. For the adventuresome, you can walk an additional mile through the unpaved Rainforest Trail extension to view the wilder portions of the rainforest as well as a variety of spice trees planted along the trail. Returning to the gardens entrance, you can take our paved walkways through the landscaped Rainbow Walk filled with anthuriums, bromeliads, palms, ti, cinnamon, allspice, the pencil tree and scores of other tropical species. Don’t miss the Orchid Wall and the Children’s Maze. While wandering watch for signs and bring along a Walking Stick audio tour wand. This provides information about many of the plants along the Rainbow Walk and others throughout the various gardens. If you still have time, wander at leisure through the grassy lawns of our Arboretum to view trees filled with flowers, fruits and nuts. Be sure to hunt for the many varieties of orchids blooming in the trees. This tree is native to Australia. Its leaves contain an aromatic oil, and they are sometimes used to brew a tea. Each leaf exhibits 5 base-to-tip veins that run more-or-less parallel to the leaf margin, and these are called “nerves”, hence the species name, quinquenerva. The most interesting aspect of this tree are the multiple layers of peeling, soft, papery bark that coat the trunk and larger branches. Large sheets of paper-like bark can be peeled from the trunk (please don’t try here!). The creamy-white blossoms (mostly stamens) are clustered along the stems, and develop into small hard nut-like fruits clustered along the stems. These contain tiny seeds, and remain closed for many years on the plant. In the event of a fire, the fruit capsules gradually open due to the intense heat, and the seeds fall out a few days after the fire is out, to reseed the scorched landscape. In Florida these trees were planted to help take up water from the Everglades. There they reseed themselves naturally, due to periodic fires in the Everglades, and form dense stands that are impenetrable, even by the local deer population. 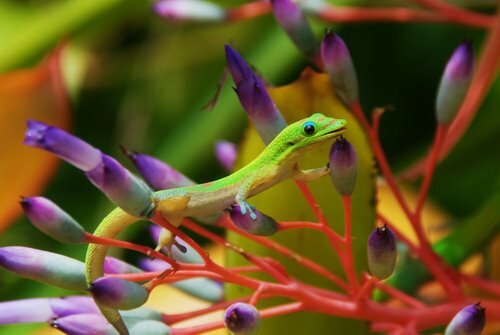 The species is considered a pest in Florida. Mile Marker 16 on Highway 19 Why not Write a review? Many people spend a good portion of their lives at work, so why should they not try to enjoy it? While looking to find fun things to do at work, let your imagination be the leader. Make sure to obtain your boss’s approval for whatever fun and exciting things you choose to do. Better yet, get your boss involved in the fun! Do what you can to enjoy work and use #HaveFunAtWorkDay to post on social media.